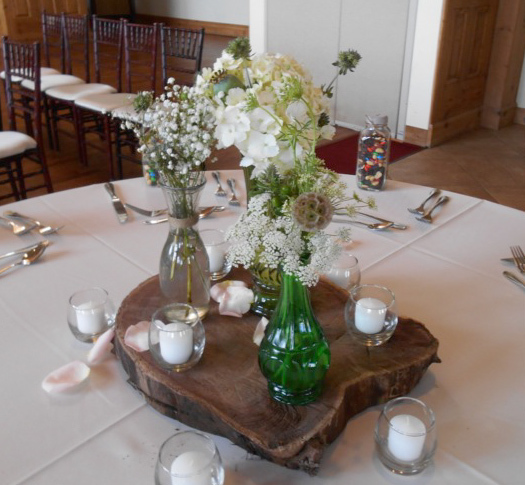 Megan’s spring wedding took place at the Onion Pub in Lake Barrington, IL. 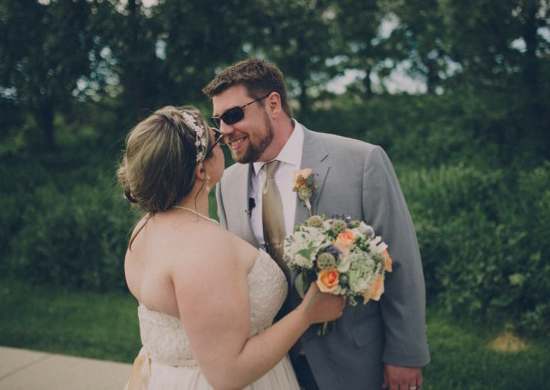 Megan’s had a vision of making her spring wedding woodsy and whimsical. 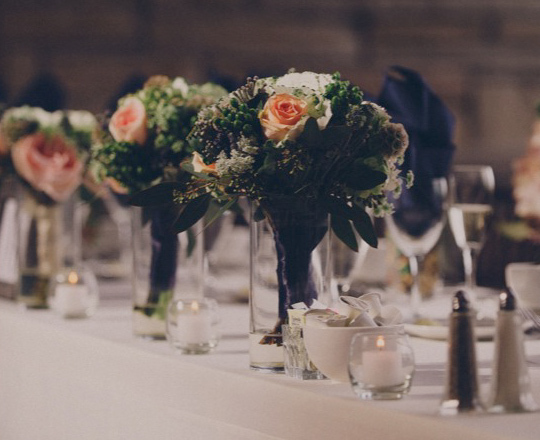 Her concept was achieved with her spring palate of pink, green, and purple. 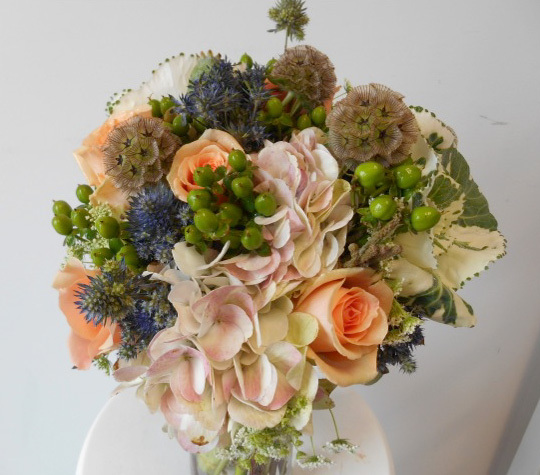 Her bouquets were made with a wide arrangement of flowers. 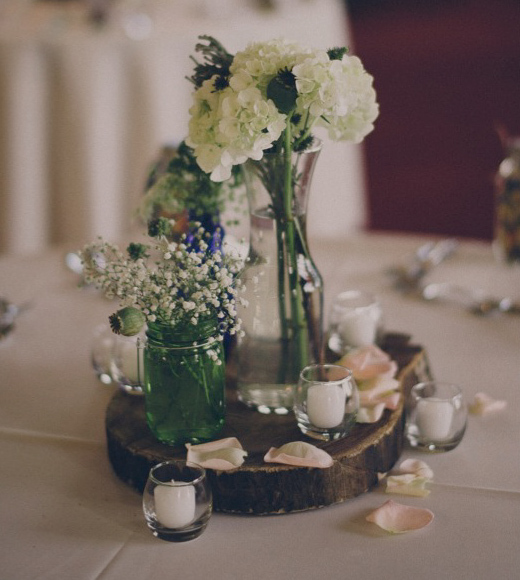 Her centerpieces consisted of a variety of glass vases of all different sizes and colors.